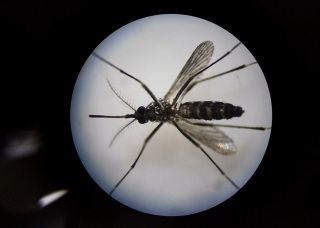 Three birds from separate Contra Costa County cities and a group of mosquitoes from another have tested positive for West Nile virus, the Contra Costa Mosquito and Vector Control District said Friday in a statement. "The mosquitoes and birds that have tested positive this week demonstrates West Nile virus does not end with Labor Day," said Steve Schutz, the district's Scientific Programs Manager, in a statement. The birds were discovered in Brentwood, Antioch and Pleasant Hill, while the mosquitoes were found in Oakley. The district said it is conducting extra surveillance and mosquito control in the areas where the infected birds and mosquitoes were found. The district reminds residents that they can reduce the risks of acquiring the disease by draining standing water, using bug repellent with DEET, Picaridin or oil of lemon eucalyptus, avoid being outdoors when mosquitoes are present, maintaining swimming pools. Resident should report dead birds to the state's hotline at (877) 968-2473. The district said that of the 56 people in the county who have been diagnosed with the disease since 2006, only two have died. For more information on the virus in the county visit www.contracostamosquito.com.